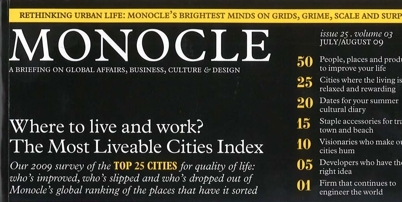 Gerard Reinmuth has been featured in Monocle magazine’s survey of 11 influential architects, urbanists, academics and authors on the future of the city. Gerard’s Q&A session sits alongside contributions from a diverse group including Alain de Botton, Saskia Sassen and Tyler Brule. By complete coincidence, Gerard’s favourite Bondi café/bookshop, Gertrude and Alice, features in the same issue.